Membership Renewal Dues are Due! The Ravenna Army Ammunition Plant (RVAAP), located near Ravenna, Ohio, manufactured military munitions from World War II through the Vietnam conflict. The installation operations were discontinued in 1992; the site is currently under inactive modified-caretaker status. Current missions include environmental restoration, decontamination and decommissioning (D&D), and bulk material and equipment storage. Portions of the installation are used by the Ohio Army National Guard (OHARNG) for field training. Key environmental and D&D concerns include remediation of 36 areas of concern under CERCLA; RCRA closures; D&D of about 3,000 buildings and storage igloos; and salvage and recycling operations. Completion of key CERCLA and D&D activities is required prior to transfer of the entire installation to the OHARNG for training purposes as the ultimate end use. Achievement of the desired end use is critical to all stakeholders to reduce OHARNG training costs and stimulate the local economy. A successful partnership has been forged among RVAAP Installation Restoration Program (IRP) and its contractors, the U.S. Army Corps of Engineers (Nashville and Louisville Districts) and its HTRW contractors, the U.S. Army Industrial Operations Command (IOC), the Ohio EPA, OHARNG, and the public to achieve the desired end use for the installation. The successful partnership is based on common goals, open and continuous dialog, mutual respect and trust, and a fostered teamwork mentality among stakeholders. Cooperative technical data exchange between the OHARNG, IRP contractors, and HTRW contractors eliminates redundancies in environmental data collection efforts. Public input to environmental activities is obtained through direct communication with the Restoration Advisory Board, formal public meetings and comment periods, newsletters, and web-based access to IRP documents and related information. To accelerate and streamline the environmental restoration process at RVAPP and achieve the desired end use, the partnership has developed and implemented a number of key planning and innovative technical approaches. These approaches include implementation of a standardized facility-wide CERCLA work plan to reduce characterization costs; testing and implementation of in-field chemical analytical methods for explosives and metals; implementation of a single, web-based environmental data management platform; establishment of standardized risk assessment and chemical background evaluation protocols; development of a standardized investigation-derived waste policy; prioritization of remedial actions at areas of concern to meet land use needs; and optimization of project schedules to reduce costs. Our December presentation was given by Dr. Claudia Mora from the University of Tennessee. During her presentation, Digging up the Dirt on Ancient Atmospheres, Dr. Mora discussed fluctuations in the carbon dioxide content of the paleoatmosphere that may have played a critical role in determining ancient paleoclimates and ecosystem development. She presented information about theoretical models pointing to the Paleozoic Era as a period of extreme fluctuation in atmospheric carbon dioxide and discussed the importance of fossil soils, or peleosols, in the study of atmospheric carbon dioxide levels during this period. The complete abstract of Dr. Mora's presentation is included in the December Newsletter, and she may be reached via e-mail at mora@yoda.gg.utk.edu. ETGS and AIPG thank Dr. Mora for an informative program! The final year of the 1900s was one of great success for ETGS, thanks to the enthusiasm of the membership and the leadership of last years officers, including J.J. Hollars (President), Rick Arnseth (Vice President), and Seaira Stephenson (Secretary/Treasurer). Significant roles were also played by Rich Hopkins (Field Trip Coordinator) and Membership Committee members Susan Gawarecki, Jim Morgan, and Dan Oakley. The support of the Tennessee Section of AIPG also supported our success in 1999. Thanks to Larry Weber and Chris Maner (outgoing and incoming Presidents of the Tennessee Section, respectively) for their support! ETGS looks forward to continued cooperation with AIPG in the coming year. During the past year, ETGS has experienced a modest, but much needed resurgence in membership. This is important because membership dues are the only source of funding for Society expenses, such as registration with the state, mail box rental, and meeting costs. In short, the financial support of the membership it is absolutely essential for the continuation of the Society as a legitimate and effective organization. Just as important, Society members participated actively in various events, including nine regular meetings and two field trips. Increased membership and participation in the Society appears to parallel a general improvement in the environment of professional geologists and their employers in East Tennessee. Let's continue the momentum in 2000! Following elections at the December meeting, the new year brings new leaders who have volunteered to contribute their time and talent to the organization. (See Comments from the Secretary elsewhere in this issue.) Please lend them your support by recommending possible speakers for our meetings; submitting articles and features for publication in the Newsletter; and suggesting field trips and other opportunities for professional and social development. Whether you join or renew at the meeting or by mail, please complete a membership form so that we can keep the societys records updated. 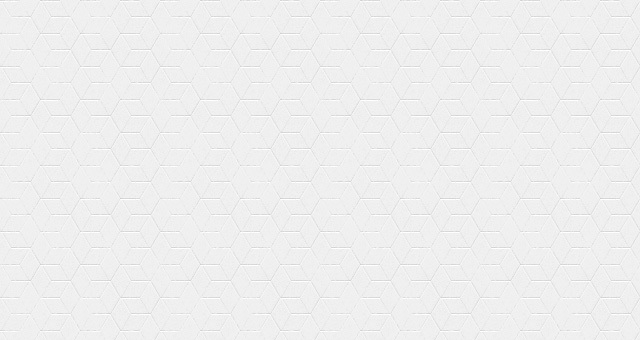 In particular, please make sure we have at least one current e-mail address. Newsletters will continue to be available online at http://www.discoveret.org/etgs/news.htm. As noted in the December 1999 issue, a formal printed edition will no longer be produced. However, copies of the online edition will be printed for members who do not have internet access. With all the hype about the Year 2000, Y2K, and the so-called "New Millennium," it is easy to wonder what the future holds for ETGS. The continued success of ETGS depends on YOU. Every member has a voice in the way this organization is run. Like any other year, ETGS will need your support and participation. And speaking of the recently created Field Trip Chairman Position, we also discussed possible trip options for the new year. Lots of good suggestions were make including the Virginia Creeper Trail and the now closed, but soon to be re-opened Cudjo Cave. This topic always seems to get a lot of participation, so please attend the meetings next year to keep advised of our great adventures, lead by Rich!!!!!!! Much thanks to J.J. Hollars for arranging the meeting, leading the elections, and presenting the society "outstanding contribution" award to Brad Stephenson. We extend our sincere thanks to J.J. and all the past officers for a job well done. 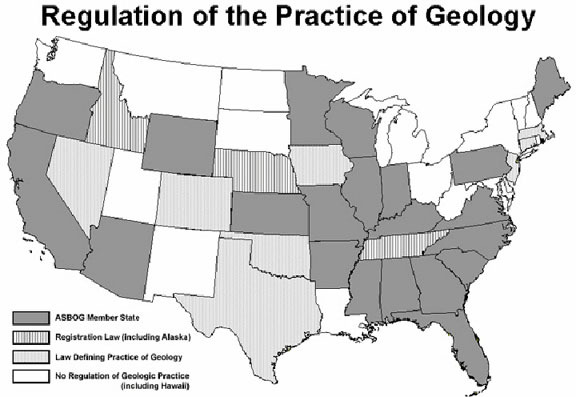 The Association of State Boards of Geology (ASBOG) was established in 1989 to permit states to share resources in developing geologist registration laws and examinations. Although the organization is now called the National Association of State Boards of Geology, it will retain the ASBOG acronym. The October 1999 issue of Kentucky Geologists (Volume 1, Issue 2) includes information about ASBOG and its examinations. It also includes a map of ASBOG member states, from which the following map is adapted. The full text of the Kentucky Geologist is available online at http://www.state.ky.us/agencies/finance/boards/geology/index.htm. Additional information can be found on the ASBOG web site at http://www.asbog.org. This bill revises the geologist registration act that was passed in 1988, which lacks any provisions for an exam, or for reciprocity or comity agreements. The subject bill does several things to improve the process of registering geologists in Tennessee. 1) It more succinctly defines geology and the practice of geology, and is intended to eliminate possible overlap between the definitions of engineering and geological practice. 2) It establishes a seven (7) member advisory committee, to be reimbursed only for travel expenses, and funded by existing, registration-fee-supported revenues (currently $80,000 per year), to assist the Commissioner of Commerce and Insurance in dealing more effectively with questionable practice, qualifications, and violations of the act. 3) It requires an examination that properly assesses the knowledge and skills common to the competent practice of geology as a profession, and would allow for the use of the currently available national examination offered by the National Association of State Boards of Geology (ASBOG). 4) It sets the stage for the establishment of reciprocity or comity agreements with other states that also regulate the practice of geology through various licensing or registration requirements. 5) It elevates the practice of geology, requiring greater qualifications and testing to ensure that high professional standards are met and maintained in order to promote the public welfare and adequately safeguard the safety, health, and property of the people of Tennessee. 6) It provides for grandfathering of currently registered professional geologists. Support for this type of legislation was indicated by response to a poll that was mailed to all 770 registered geologists practicing in Tennessee as of October 15, 1993. Of the 652 ballots that were actually received, 220, or 33% were returned. Support for a board was indicated by 210 respondents, or 96% of those polled. Support for an exam was indicated by 192 respondents, or 89% of those polled. Those responding represented 66 different employers of geologists across the state. In December, 1994, a draft of this act was mailed to all resident registered Tennessee geologists (850 at that time) for comment and suggested changes. A revised (8/6/96) version included changes that were suggested in response to that December mailing. The current version removes all references to a board that were included in the earlier versions, in response to Governor Sundquists desire to downsize state government, including a reduction in the number of existing boards and commissions, and establishes instead an advisory committee. Although it has been developed over the past six years in consultation with Consulting Engineers of Tennessee, Inc., and the Tennessee Society of Professional Engineers, the current Executive Director, Candy Toler, who took over in July of 1999, has not to date been personally involved in the review process, and may have additional comments or suggestions for possible language changes. This legislation is not currently supported by the Department of Commerce and Insurance, or by its staff attorney. When it was introduced during the first session of the 101st General Assembly, the Department raised questions about the number of staff required to administer the act, as well as the cost involved. The exam provision will require membership in the National Association of State Boards of Geology at a cost of $2,950 per year, plus a one-time access fee of $18,000. Travel expenses for the advisory committee are estimated to be approximately $2,500 per year. Because of these, and concerns related to the definition of geology and the public practice of geology, the act was taken off notice in the House Professional Regulations Subcommittee of the Government Operations Committee on April 7, 1999.